“Over the past two decades, fathers have become more involved in all aspects of their children’s lives,” says Kenneth Braswell, National Responsible Fatherhood Clearinghouse (NRFC) Director. “Fathers continue to feel strongly about providing for their children while taking a more active role in other key activities such as meal preparation, bathing, and bedtime routines.” It’s important to note that these attitudes extend to all fathers regardless of marital status, age, or occupation. NRFC supports fathers and family service organizations throughout the year by providing key resources and webinars, and helping fathers connect to community resources. 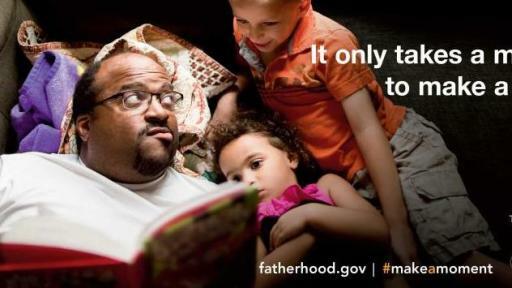 The NRFC website, fatherhood.gov, makes the latest parenting information available to fathers across the country and the NRFC toll-free hotline provides one-on-one guidance. 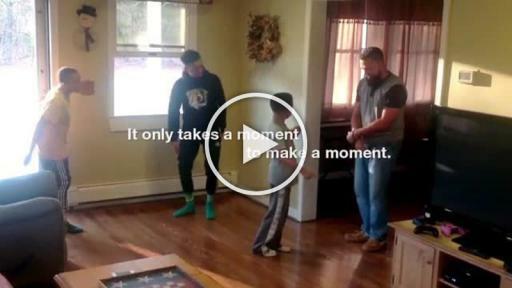 Working closely with The Ad Council, NRFC is launching a new campaign encouraging dads to “take a moment to make a moment” with their kids. The new TV, radio, print, and digital public service advertising (PSA), created by Campbell Ewald, illustrates how simple it can be to make an impact on a child at any moment. 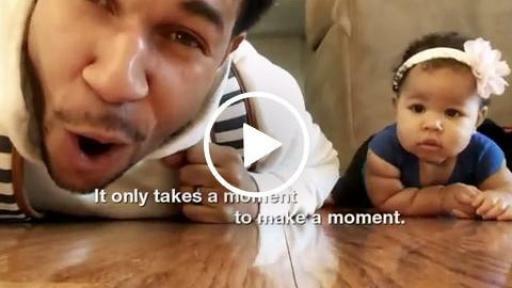 The TV spots feature user-generated content from real fathers making moments with their kids in unexpected ways. 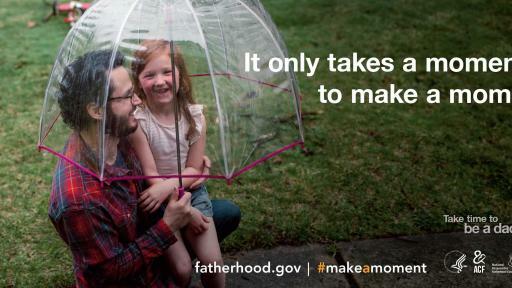 All PSAs direct audiences to share their own moments via the hashtag #MakeAMoment and to visit www.fatherhood.gov or call 1-877-4DAD411 for parenting tips, fatherhood programs, and other resources. 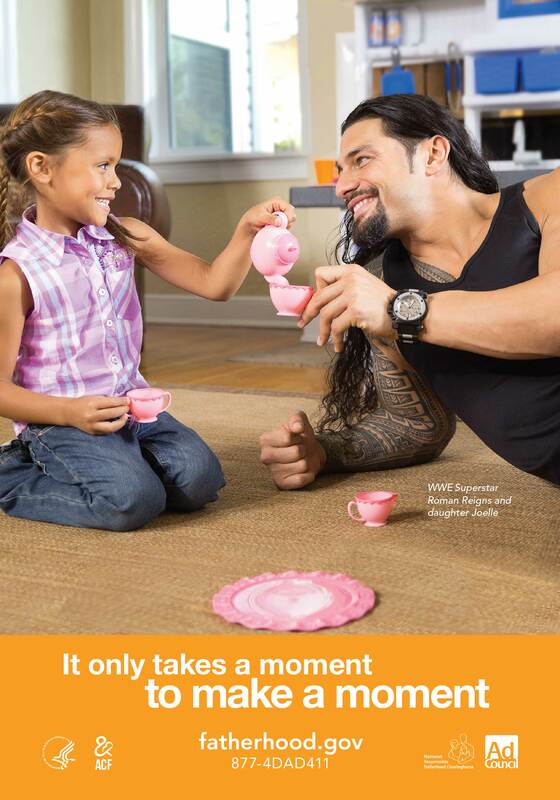 WWE Superstars Roman Reigns, Titus O’Neil, and Alberto Del Rio are once again joining the campaign to help show how they “take time to be a dad.” The PSAs are an extension of the Ad Council’s award-winning Fatherhood Involvement campaign, which launched in 2008. The ads will air and run in times and spaces entirely donated by the media. 1 “Navigating New Norms of Involved Fatherhood: Employment, Fathering Attitudes, and Father Involvement,” Brittany S. McGill, Journal of Family Issues, 2014, Vol. 35(8) 1089-1106. 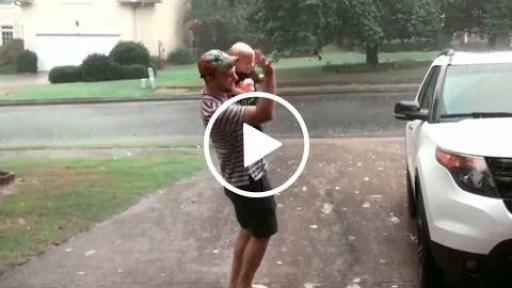 HHS supports responsible fatherhood in diverse ways. Because engaged fathers strengthen families and contribute to healthy outcomes for children, many HHS programs integrate support for fathers. 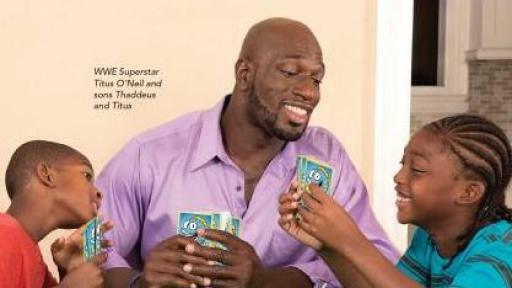 These include Head Start, child support, and Temporary Assistance for Needy Families programs. HHS also supports programs that focus on responsible fatherhood, such as the Promoting Responsible Fatherhood grant program administered by the Office of Family Assistance (OFA). 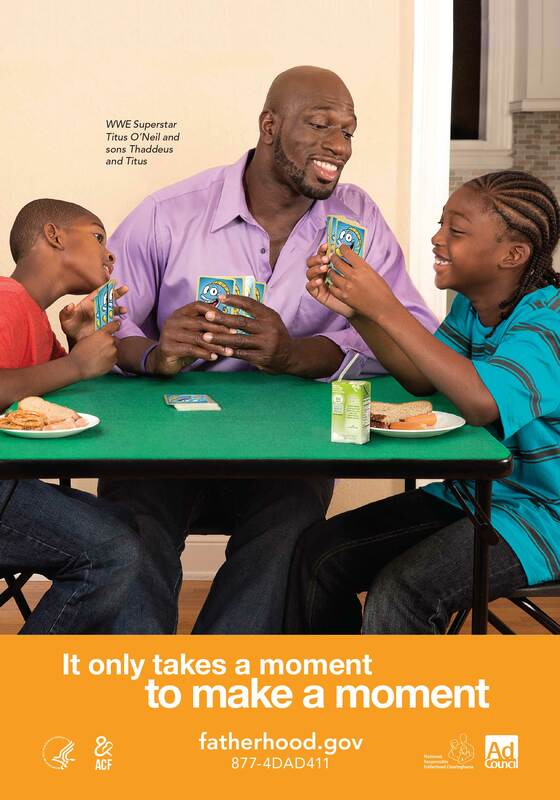 The National Responsible Fatherhood Clearinghouse (NRFC) is funded by the Administration for Children and Families’ OFA to assist policymakers, practitioners, and fathers to promote and support responsible fatherhood. NRFC provides evidence-informed materials, resources, and tools including timely information on fatherhood issues, and access to print and electronic publications. The Ad Council is a private, non-profit organization with a rich history of marshalling volunteer talent from the advertising and media industries to deliver critical messages to the American public. Having produced literally thousands of PSA campaigns addressing the most pressing social issues of the day, the Ad Council has affected, and continues to affect, tremendous positive change by raising awareness, inspiring action and saving lives. To learn more about the Ad Council and its campaigns, visit www.adcouncil.org, like us on Facebook, follow us on Twitter or view our PSAs on YouTube. Campbell Ewald is a U.S.-based full service, fully integrated advertising and marketing communications agency. The agency provides both traditional and specialized capabilities including advertising; insights and strategic planning; integrated content strategy and development; digital; social, DM/CRM, retail and experiential marketing; and media planning and buying. With offices in Detroit, Los Angeles and New York, Campbell Ewald has been recognized by the Warc 100 as one of the 2016 top 10 agencies in North America, and its work on behalf of clients has been honored by, among others, the Cannes International Advertising Festival, the Effies, the One Show, the AAF Mosaic Awards, the ECHO Awards and ADWEEK.